"If the CM is now using goons to win elections, I will keep elections aside and first take care of his goons," Thackeray said. MUMBAI: In a frontal attack on Maharashtra Chief Minister Devendra Fadnavis, Shiv Sena president Uddhav Thackeray today called him a liar and said it was unfortunate for the state to have a Chief Minister like him. "It is very unfortunate that Maharashtra has got a Chief Minister who speaks blatant lies. He talks of BMC being non-transparent but his own government at the Centre says BMC is number one in the country in terms of transparency," Thackeray said. He was addressing a campaign rally for Brihanmumbai Municipal Corporation elections here this evening. Thackeray challenged Fadnavis to go out on the streets of Mumbai at midnight and see for himself the pothole-filling work being done by the BMC workers. The CM had yesterday referred to bad condition of roads in Mumbai in his speech. "I have even stepped inside a nullah to oversee the work that was underway. Does the CM have the courage to dirty his clothes and go inside nullahs? 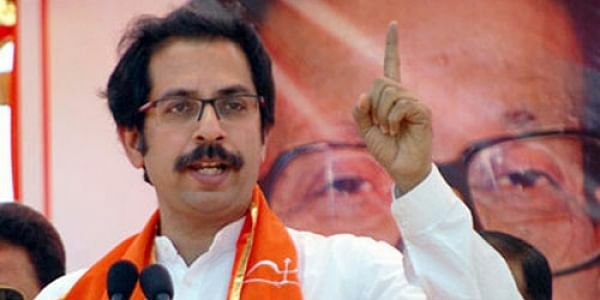 They do not have any love for Mumbai," Thackeray said. "All the hoardings being put up by them (BJP) today are about works done by Congress. Have you done anything at all to show in the last two and a half years?" the Shiv Sena chief said. An all-out war of words has broken out between the ruling allies in the state Sena and BJP after the two parties failed to work out a tie-up for the crucial BMC elections.